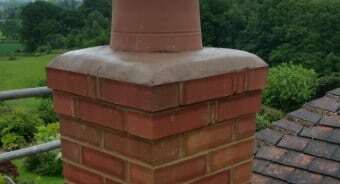 The trusted experts for heritage brickwork restoration, roof or chimney repairs, chimney building and simple roof repairs. 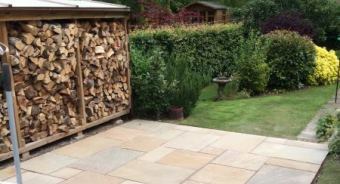 Packington are garden landscaping specialists, from beautifully laid patios & paths to brick built garden walls and perfect BBQ areas. Planning an extension or building work? We are the trusted builder for structures that breathe new life into your home. 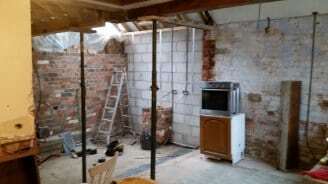 Bought a house and need a complete renovation? We can strip back to the shell & rebuild, including replastering. All size jobs catered for. Packington builders work in partnership with a professional kitchen fitter to deliver the kitchen of your dreams. You buy, we fit! Bought or planning a DIY bathroom? 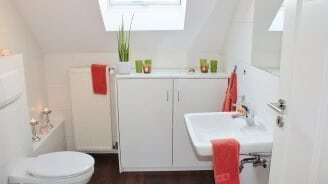 We are experienced professional bathroom fitters and plumbers, ideal for DIY bathrooms. From a simple makeover to a complete renovation, we can strip back to the bricks & replaster for a smooth wall. Or for a professional tiling service you can’t beat Packington Builders. 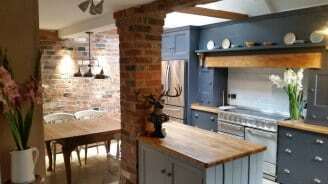 All size jobs catered for, creating beautiful rooms & homes for you. Packington Building Services is a local Burton on Trent family business that prides itself on a friendly, affordable and professional service. We treat your home as if it were our own, working cleanly and efficiently and never leave a mess during or after build completion. Gez Goss, owner of Packington Building Services, is a master bricklayer (including Heritage brickwork) and is a local builder with a reputation for reliability and high quality workmanship. You will find us honest and that we really care about our customers satisfaction. We take pride in every aspect of our work, operating a professional attitude with all our services, big or small. Packington Building Services has a long list of satisfied customers and our portfolio contains pictures to assist you. We are fully qualified, insured and offer guarantees on all of our work so you have a complete piece of mind when using us to help with any work around your home, inside or out. About Us page. We serve Burton on Trent and cover all the surrounding Midland towns from Sutton Coldfield, Solihull, Tamworth through to Lichfield, Uttoxeter and Swadlincote. Here at Packington Building Services we have a long history of good quality roof repairs. When you need to make sure that your roof is water tight you need someone you can trust. After all, you don’t want to get up on the ladder yourself so you need to know that when it rains, your home is safe. Happy customers are our number one priority so no matter what size of job you have you can be sure of great service!. As you would expect from a master craftsman we are also experts at all things chimney & real fireplace related, from complete installations to minor repairs. Feature Brick Fireplaces & Real Wood Burning Stove installations are a speciality of ours. Find out more on our chimney expert website, thechimneyexpert.co.uk or visit our CONTACT US Page. Visit our GALLERY to see some examples of our work. Creating the perfect garden to relax or entertain guests in takes so much more than a well maintained lawn and colourful flowerbeds. Stylish and elegant patios or just simple functional, a new patio will make a lovely addition to your garden. Whether it’s a place to enjoy a BBQ with friends, to get a little sun or simply sit back and watch the kids play, a patio can really help bring your garden together. Gez Goss at Packington Building Services helps you take your patio from idea to completion, we believe Burton on Trent’s patio layer of choice! All associated groundwork and ancillary services are part of what we do so you don’t need to waste time or money looking elsewhere. So don’t delay, contact Emma or Gez on 01283 716 073 for a friendly no obligation quote and get one step closer to enjoying your garden as it should be! With many years experience including heritage brickwork restoration, you can be sure of a professional job whatever your brickwork needs. A brick wall for your garden will require less maintenance than traditional fencing and last a lifetime. Just the same as a wall needing good strong foundations, the builder you choose should also have a solid foundation of years of experience coupled with the old fashioned professional approach of a master tradesman. You can be sure that you have come to the right place with Packington! Should you also require groundwork for your garden or driveway you can rely on us for an honest quote and good quality workmanship. CONTACT Us today! If you are considering a home improvement, maintenance or a renovation project, you will naturally be looking for reliable, skilled & trustworthy craftsmen. We do whatever is right for you, from completing the work ourselves, to providing a complete project management service for your building requirements. This could be anything from the building of a new extension, building work, converting a garage to a spare room or even some minor repairs in and around your home or business premises. Whatever your needs from small repairs to building you anew garden wall, repointing existing brickwork or building you a new extension to meet your growing family’s needs. 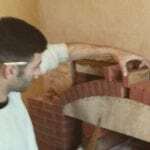 Gez is a specialist heritage bricklayer, brick and stone restoration professional, expert in all areas of brick restoration and bricklaying. re-pointing, replacing the brickwork, adding new brickwork. 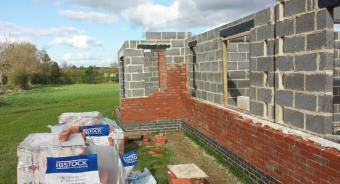 We can match the existing brickwork as part of the restoration or building work. Looking for a real fireplace, stove installation or wood burner? We are also the chimney experts for all your real fire and log burner needs.